Random Thoughts: India: Another anti-terrorism law? Terrorism, the growing menace in India and internationally, has evoked serious countenances. After all, desperate times call for desperate measures. Since executive branches have to take permission of the legislative branches and have to act within the authorized perimeter of permitted activity (defined by law), growing instances of terrorism have led to increasing under-currents in the developmental and institutive processes functional in the legal designs and frameworks worldwide. Internationally when we already have the various war crimes tribunals (such as International Criminal Tribunal for the Former Yugoslavia, International Criminal Tribunal for Rwanda, etc. ), still the world-felt need for improved mechanism for international crimes led to the institutionalization of the International Criminal Court. Though there have been issued about its legitimacy, jurisdiction, infringement on state sovereignty etc., yet the ICC is here to stay and has commenced its work. Nationally, as well, there have been wide-spread developments. For example, UK enacted a series of Parliamentary laws to deal with the issue; namely the Terrorism Act, 2000; Anti-Terrorism, Crime and Security Act, 2001;Prevention of Terrorism Act, 2005; Terrorism Act, 2006; etc., to deal with the grappling issue. Similar was the situation in the United States, a series of laws, with the most prominent amongst them being the USA PATRIOT Act, 2001 (i.e. 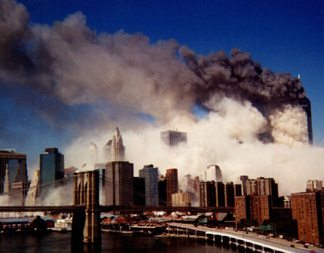 Uniting and Strengthening America by Providing Appropriate Tools Required to Intercept and Obstruct Terrorism Act, 2001). As for India, the thing is not new. We have had seriously-civil-rights-prejudicing sedition laws for long, thanks to the colonial law. The hay days of Indian democracy have seen them implemented frequently, with the last most prominent invocation of them being in and around the 1975 national emergency. But we do have specialized terrorism laws as well. The first probably (though not technically) can be recalled as the infamous 'Maintenance of Internal Security Act, 1973' which was hugely invoked during the emergency period a couple of years later. The hype of the law was such that Lalu Prasad Yadav named one of his daughter as Misa Bharti (after the 'MISA Act'). This MISA Act was followed by more infamous Terrorism and Disruptive Activities (Prevention) Act, 1985 (or simply TADA), which was in fact the first specialized and focused Indian legislation on terrorism. It was invoked heaving and indiscriminately against the Khalistan movement and during the 1990s Bombay blasts. Thereafter we had a refined version of terrorism law, with a bit more rights to the accused, but an anti-terrorism law anyways: The Prevention of Terrorism Act, 2002 or POTA. The use of this enactment was not very prominent was still had a huge impact on the working psyche of the Indian police and armed forces, which employed the usage of this law to such a great extent that there was huge political furore over its misuse and thus leading to its repeal. So, as of today, India does not a specialized anti-terrorism law. Any aftermaths? I do not think so. But still the Indian Parliament would like to have another stint with framing one. Good news or bad, that time will tell, depending upon the manner it is invoked and the use it is put to, but definitely, not a good precedent. Why do not we decide in principle to either have one or not to have one. Why do we keep on fondling with successive governments coming out with their own versions of such a law. It might even be better not to have one; there are sufficient powers vested under our ordinary criminal laws on the executive to deal with such situations. The major advantages which an anti-terrorism law has on the ordinary criminal law of the land can be viewed as; giving more powers to executive to deal with situations; greater ability to armed forces to counter-act, with generally civil rights being suspended; higher conviction rates of the accused with less requirements of evidence and intent to be shown; etc. But in any case, where would be head to with such a law and why? What are the major motivations for the government to go for a law which subverts and in some cases even over-rides the judicial process? I personally and frankly believe it is influenced by their distrust on the ability of the judicial process and the carving for more power. If its the former, i.e. lack of trust on the judicial system, then why have one at all? Is it there for formality, to show the world that we have a civilized system with a committed judiciary and a developed jurisprudence but internally we find that its not worth it so we have special mechanisms in place to over-ride them at time and do what we think is the correct sense of justice such that it even does not require a trial. If its the latter, it does not require any elaboration but is in fact an illustration of the human personality and diaspora; greed for power. In any case, its not worthwhile to have one such law. It leads no where except for killing millions of innocent civilians, who are scarified in the name of preserving national integrity and well-being. And then there always are fall-outs from having a biased law, not to mention the irreparable harm it causes to the growth of judicial tolerability and legal certainly. Any body remembers the Habeas Corpus case in India, and the Regina v. R case in UK?